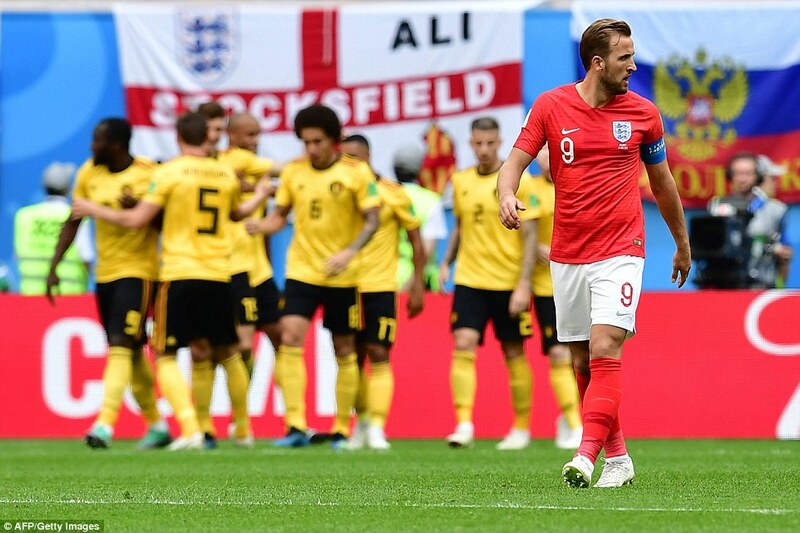 BELGIUM 2-0 ENGLAND: Harry Kane emerged victorious, for now; but England lost That felt the most significant outcome of an occasion with all the romance you would invest in a marriage of convenience. As such, it was tempting to see whether Kane raised a cheer when Romelu Lukaku, his nearest challenger for the Golden Boot, was withdrawn on the hour. 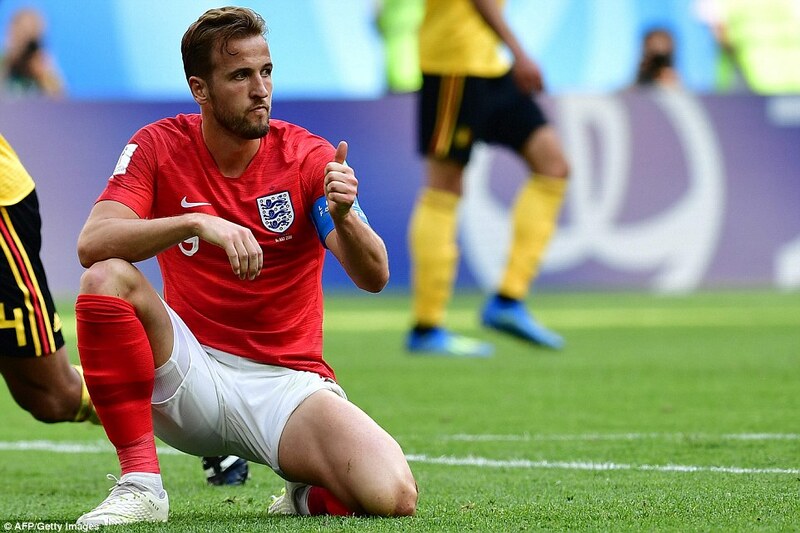 Harry Kane emerged victorious, for now; but England lost. That felt the most significant outcome of an occasion with all the romance you would invest in a marriage of convenience. As such, it was tempting to see whether Kane raised a cheer when Romelu Lukaku, his nearest challenger for the golden boot, was withdrawn on the hour. Kane weary but determined saw it out to the end. 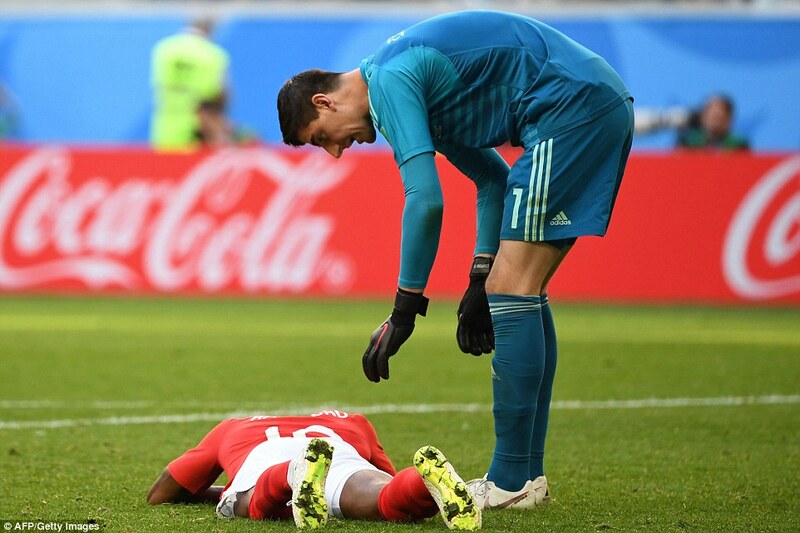 Just one more game to navigate without Kylian Mbappe or Antoine Griezmann scoring a hat-trick and England will at least take something golden home from Russia. But not bronze medals. 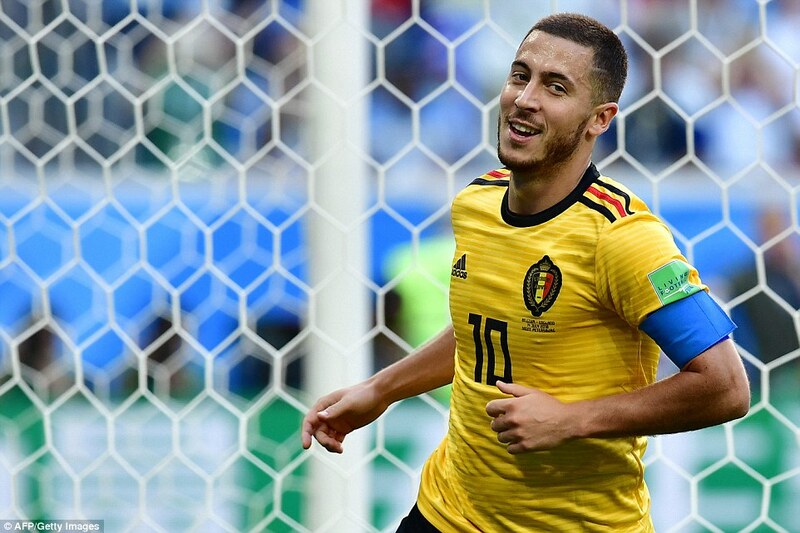 They go to Belgium, clearly the better side despite a spirited second half surge from England. Really, it was the sheer class of Eden Hazard and Kevin De Bruyne which lit up this game at times with their unplayable counter attacks. To England’s credit, they gave it a good go. 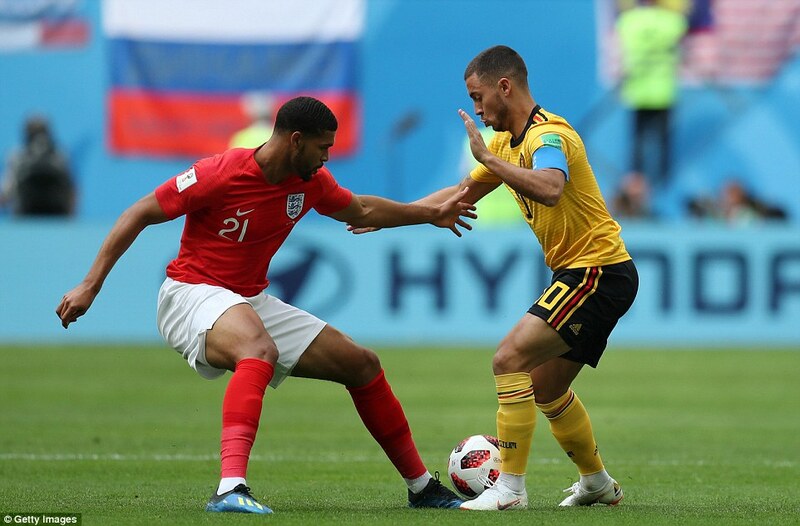 In the second half, spurred on by Ruben Loftus-Cheek, Jesse Lingard and Eric Dier – England did their very best. They ran channels, dominated possession and, in a welcome change from Wednesday, returned to their passing game. But their limitations found them out in the end. To be frank, it didn’t look good when the team-sheets arrived, Belgium had already shown they had better reserves than England. And here they had the audacity to play the first team, or near as, making just two chances. England made five with Danny Rose, Dier, Phil Jones, Fabian Delph and Loftus-Cheek coming in. Those fears were corroborated once the game begun. 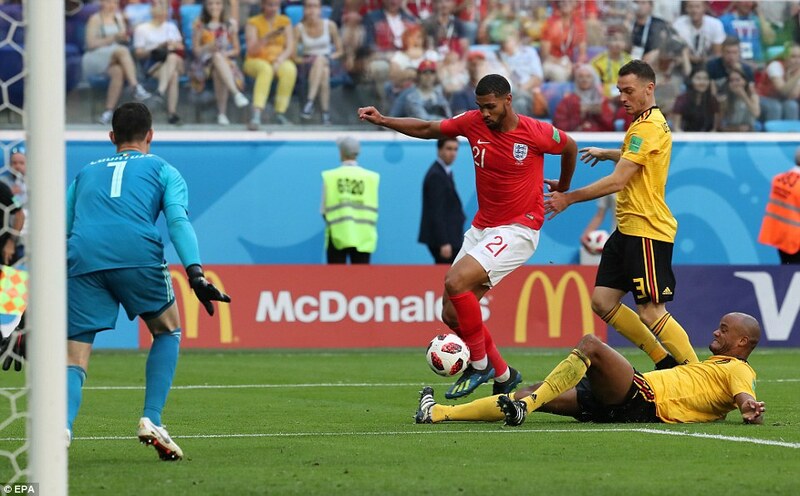 Though England started with an immediate high press and with Loftus-Cheek joining Raheem Sterling in advanced positions while Dier and Delp held, it was Belgium who immediately looked the sharper team; almost as if they had had an extra 24 hours recovery and only played 90 minutes in their semi-final. 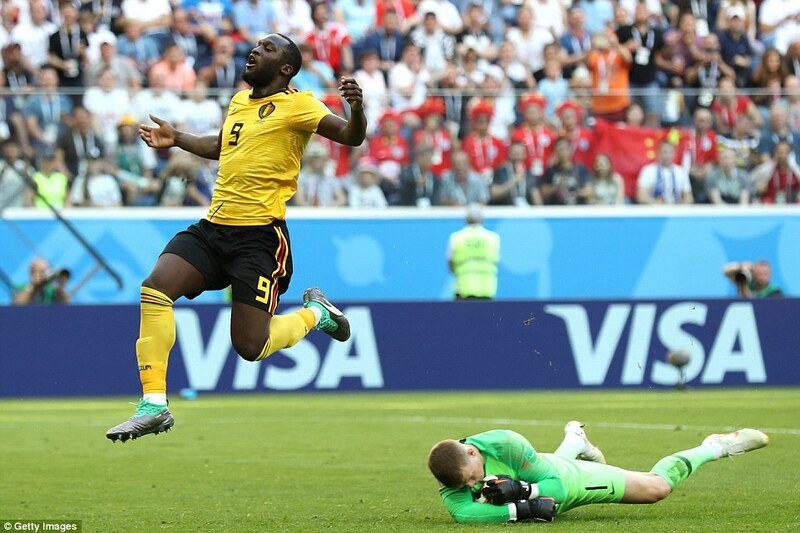 So no surprises when on four minutes Thibaut Courtois kicked long Belgian flicked on and Lukaku did well to hold up play. 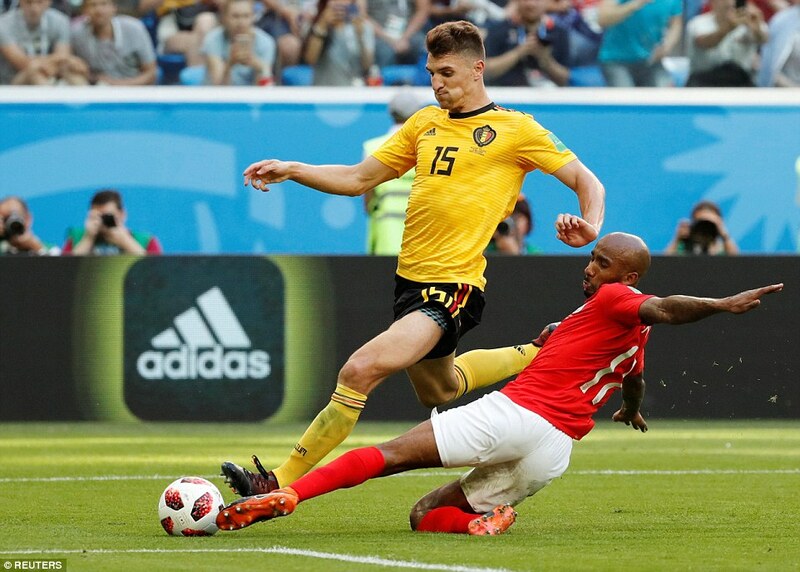 His threaded ball through to Nacer Chadli on the left wing was finely judged just as good was the run Thomas Meunier was making on the far flank. He started level with Rose, drifted away, causing the wing back to lose concentration so that when Meunier sprinted back in to receive Chadli cross, he was in front of Rose. 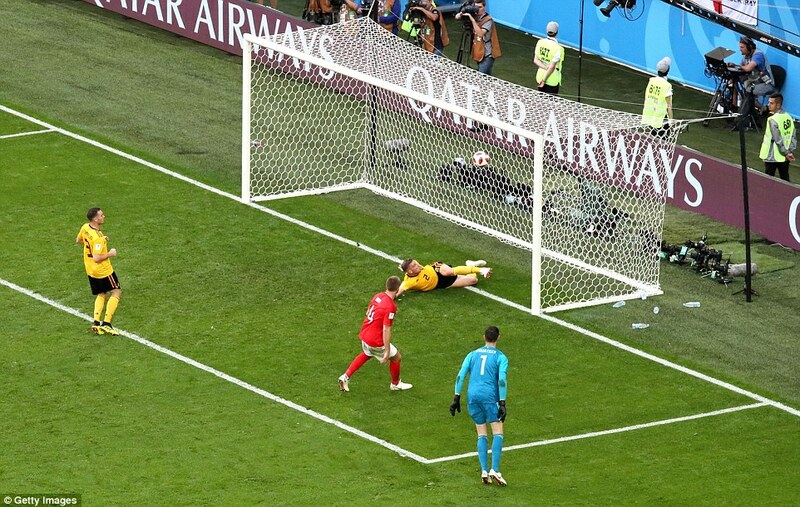 As such, Jordan Pickford had little chance and Meunier connected well and scored. 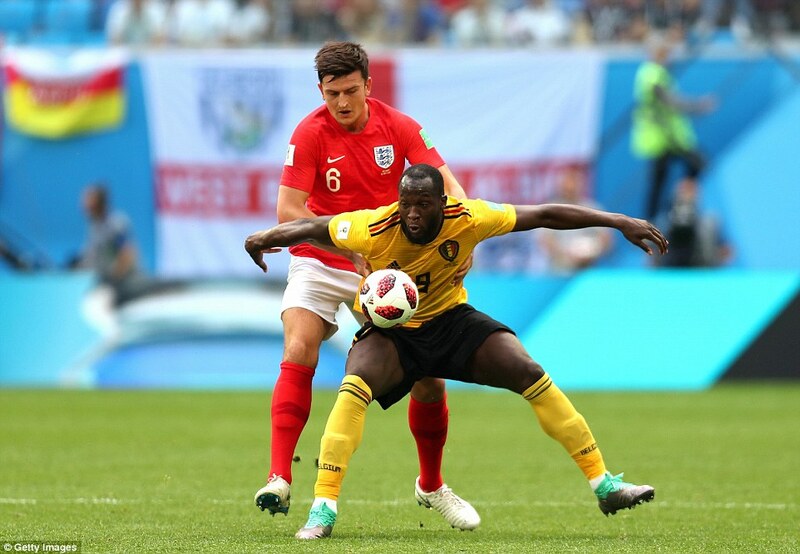 When on 12 minutes Hazard found huge spaces in the England midfield, fed Lukaku whose cross was missed by John Stones and ended up with De Bruyne, Southgate’s team looked in disarray. But De Bruyne’s deflected shot was parried away by Pickford and Phil Jones could clear. There was familiar English failing for Wednesday night: huge gaps in midfield, no real link with the front men despite the deployment of Sterling and Loftus-Cheek. But England did respond. 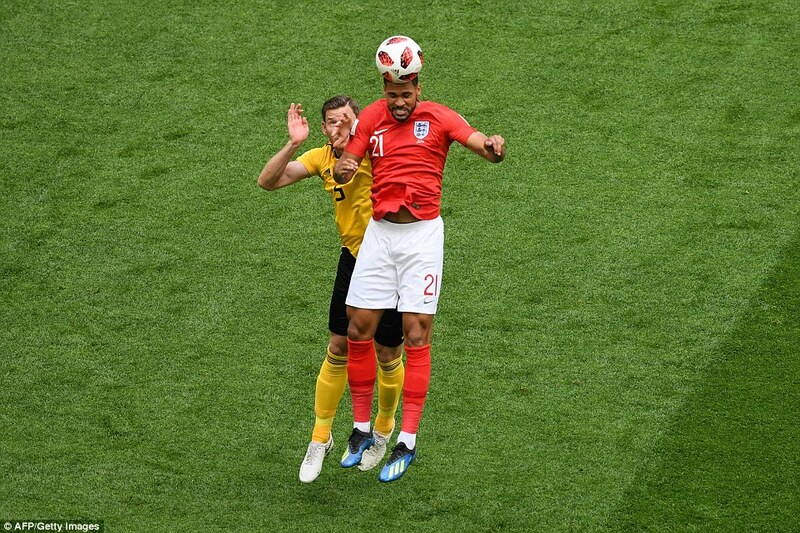 Initially there was a gentle header from Loftus-Cheek into Courtois’ arms. Better was his surging run on 18 minutes which won a corner which would be headed by Maguire into Courtois. Best of all was Dier’s excellent raking pass into the feet of Sterling, who took the ball deliciously and fed Kane. A real chance opened up but Kane struck wide, looking much less like the conqueror of worlds he had seemed three weeks ago. Belgium had by now caught the mood of the non-event and only sporadically contributed. Whistles rung around the stadium as England moved the ball around but with no clear purpose. 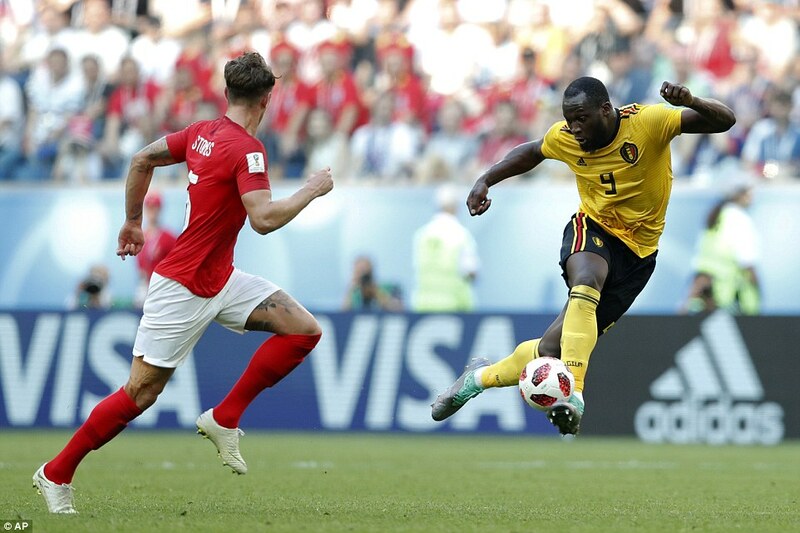 Still, Belgium finished the half better, Toby Alderweireld volleying over spectacularly from Youri Tielemans’ chipped pass and Stones then doing excellently to hold off Lukaku, one-on-one, on the stroke of half-time. On came Marcus Rashford and Jesse Lingard at half-time to inject some zest. 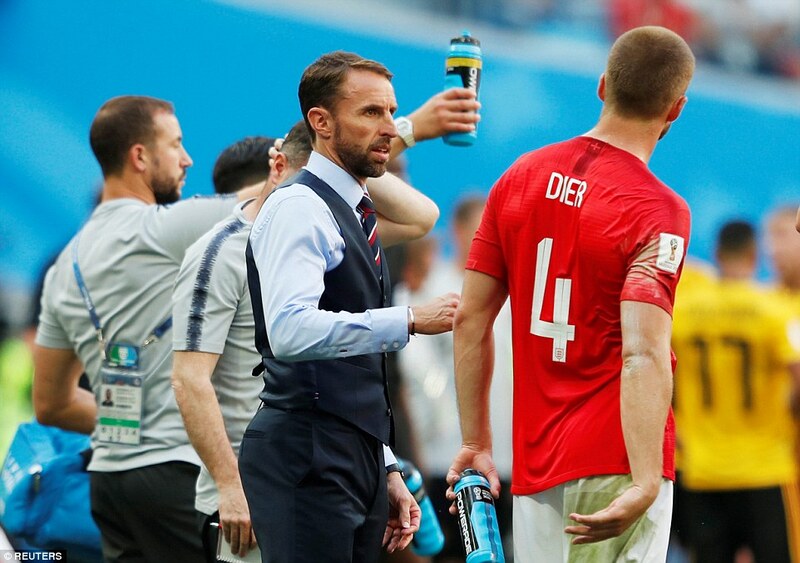 They seemed to perk up both sides, England initially gaining the benefit from their energy and willingness to carry the ball into dangerous areas. Trippier’s throw on 52 minutes caught out Belgium, let Lingard in. He unleashed what looked like a shot but it was going wide so Kane tried to turn it on and a feint touch would have been enough but it just eluded him. 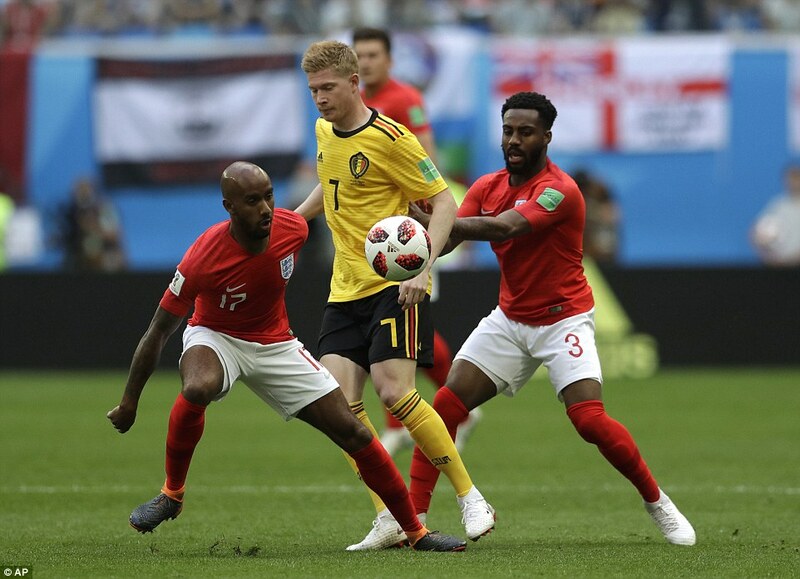 Belgium responded, De Bruyne producing one those glorious assists of which he is capable, playing in Lukaku on goal, who seemed to hesitate, allowing Pickford to come off his line smartly to block. And Delph similarly was required to make a great tackle on Meunier when Hazard slid in the Paris Saint-Germain wing back on 63 minutes. 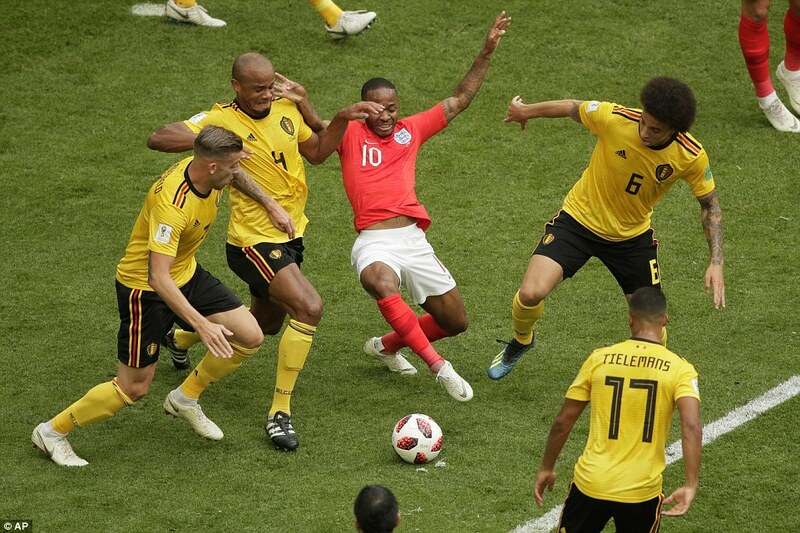 However, England finest moment came on 70 minutes, Dier exchanging passes with Rashford and opening up Belgium so that he was clean through on goal. 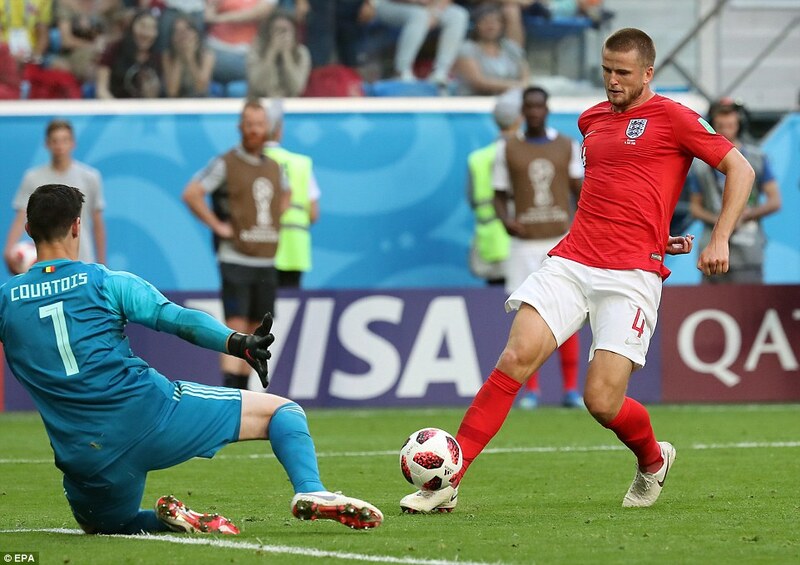 With Courtois onrushing, Dier executed the most-delicate chip and the England bench prepared to celebrate only for Alderweireld to appear at the last, sliding in somehow to hook the ball away off the line. And on 70 minutes Maguire, with a clear header, directed the ball wide from Trippier’s free kick. 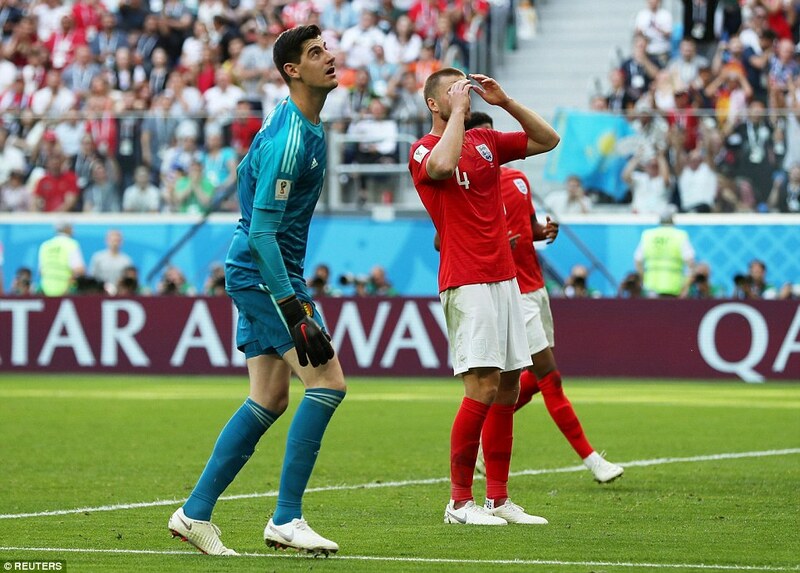 England at least were giving it a go in the final act of their Russian drama. 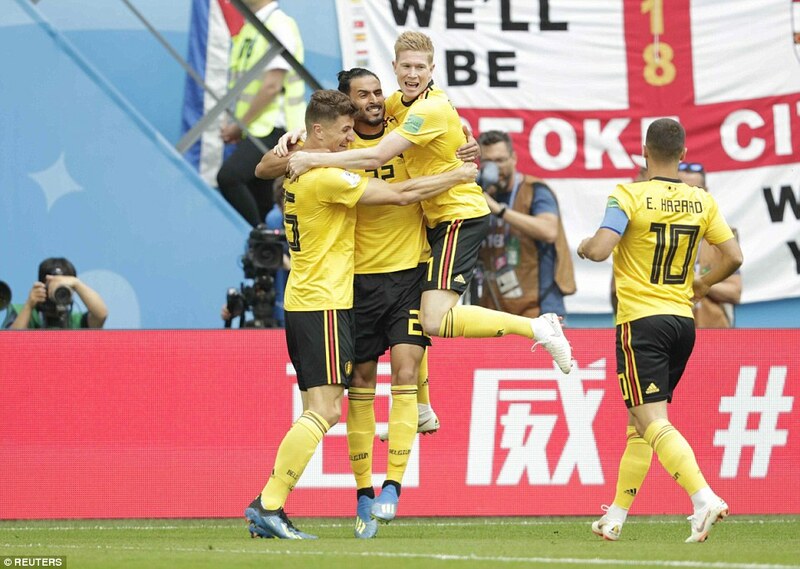 Despite England’s growing dominance it was Belgium who produced the classiest moment of the half on the counter attack when De Bruyne and Dries Mertens contrived to traverse the length of the pitch exchanging back heels and flicks until Mertens fed Meunier whose superb volley was met with another stunning save from Pickford. However, Belgium it seemed had merely been biding their time. De Bruyne, excellent whatever the occasion, threaded one those passes at which he is so apt. 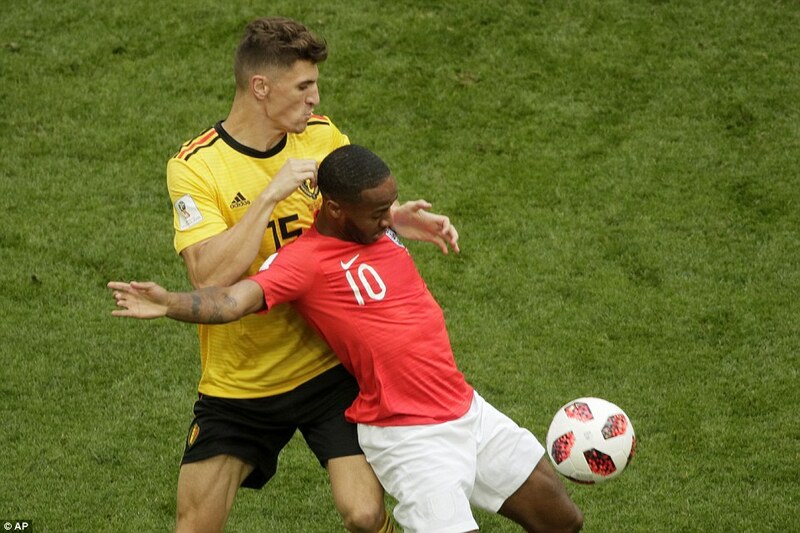 It wrong footed the unfortunate Jones, touched his heel and allowed Hazard in on a goal, a reprise of May’s FA cup final. 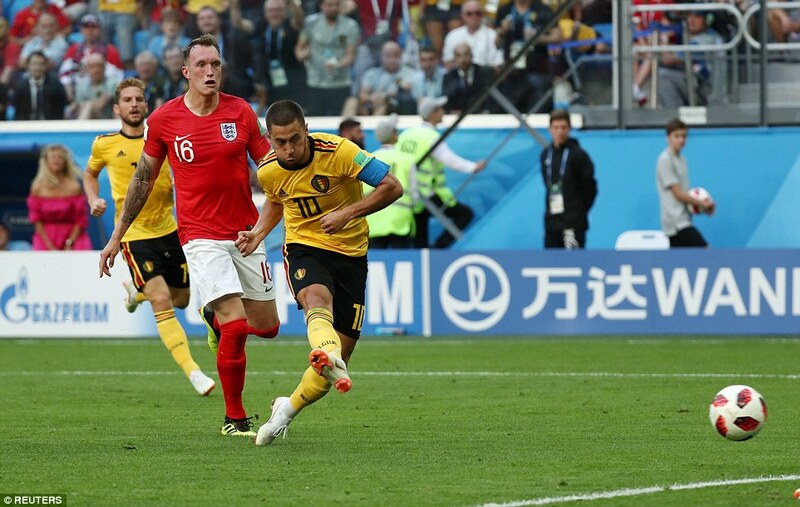 When Hazard drilled the ball past Pickford it felt like a mercy killing. Not so much to England but the occasion itself. A clear victor had emerged. And we could all finally go home.